Living in RiverPark is a wonderful thing. We’re all within walking distance to The Collection which is West Ventura County’s newest and busiest entertainment and shopping centers. Everything is within easy reach for RiverPark residents, but we’re all human and susceptible to a little stress every now and then. Sometimes, we really need to get away from it all but don’t have the time to take time off from work. Listening to music and reading our favorite books may not be enough to aid our much needed escape from the grind of the everyday world. Enter, something called, “Reiki”. Huh? Remember the original “Karate Kid” movie and how Mr. Miyagi fixed Daniel-San’s sore shoulder after a grueling day of “Sand The Floor” and “Wax On, Wax Off”? Later in the movie Daniel-San is crippled after he gets his leg swept in the final match of the karate tournament and Mr. Miyagi once again heals Daniel-San using Reiki. 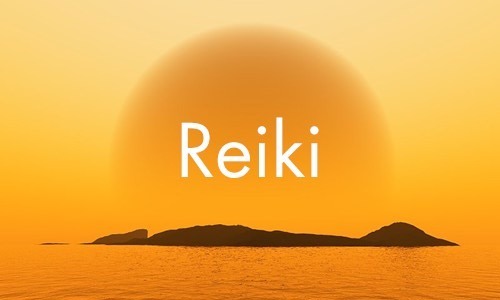 Reiki is an old Japanese technique of manipulating or redirecting the flow of one’s life energy, which is based on the even older, ancient Asian concept of Chi or Ki. Think it’s mumbo jumbo, or merely placebo effect? Think about this, what really makes you tick? Scientists have been trying to figure this out for ages. Think you’re simply a physical being? Again, what provides the impetus for the microelectrical activity in your body that makes your heart beat and your brain to think and command your body? In any case, the practice of Reiki not only treats physical issues, but can help with emotional and mental stress. A couple of weeks ago, my daughter, a typical college student, was stressing out over school, her car and rent payments. She needed a break from it all, but being mid-semester, had no time to do so. A few weeks ago, I noticed a Facebook post by one of our RiverPark neighbors, Manda Michelle. She posted that she was starting up a home business as a Reiki Therapist and was offering 1 hour Reiki sessions to RiverPark residents for $20, half-price of the normal rate. My daughter is a 3rd Degree Black Belt in Taekwondo with extensive cross training in Aikido and other martial arts, and had an idea of the concept of Chi, but not fully sold on it, agreed to undergo a Reiki session instead of the massage she wanted. Manda operates her business out of her home and is a certified Reiki Therapist. My daughter had a morning session and Manda had her lay down on a treatment table while New Age, soothing music played in the background as candles lit the room. Manda struck a bell and the session began. She was much nicer than Mr. Miayagi and the hour passed quickly. My daughter was obviously immersed in the experience and a bit fuzzy minded at the end of the session. She was very relaxed, unlike the tense, on-edge person she was earlier in the day. She acted as if she had already been away on a long vacation. I asked her how she felt. She said, “Dad, I feel like a potato”.